1. Open/self-area or arena – Here the information about the person his attitudes, behaviour, emotions, feelings, skills and views will be known by the person as well as by others. This is mainly the area where all the communications occur and the larger the arena becomes the more effectual and dynamic the relationship will be. ‘Feedback solicitation’ is a process which occurs by understanding and listening to the feedback from another person. Through this way the open area can be increased horizontally decreasing the blind spot. The size of the arena can also be increased downwards and thus by reducing the hidden and unknown areas through revealing one’s feelings to other person. 2. Blind self or blind spot – Information about yourselves that others know in a group but you will be unaware of it. Others may interpret yourselves differently than you expect. The blind spot is reduced for an efficient communication through seeking feedback from others. 3. Hidden area or façade – Information that is known to you but will be kept unknown from others. This can be any personal information which you feel reluctant to reveal. This includes feelings, past experiences, fears, secrets etc. we keep some of our feelings and information as private as it affects the relationships and thus the hidden area must be reduced by moving the information to the open areas. 4. 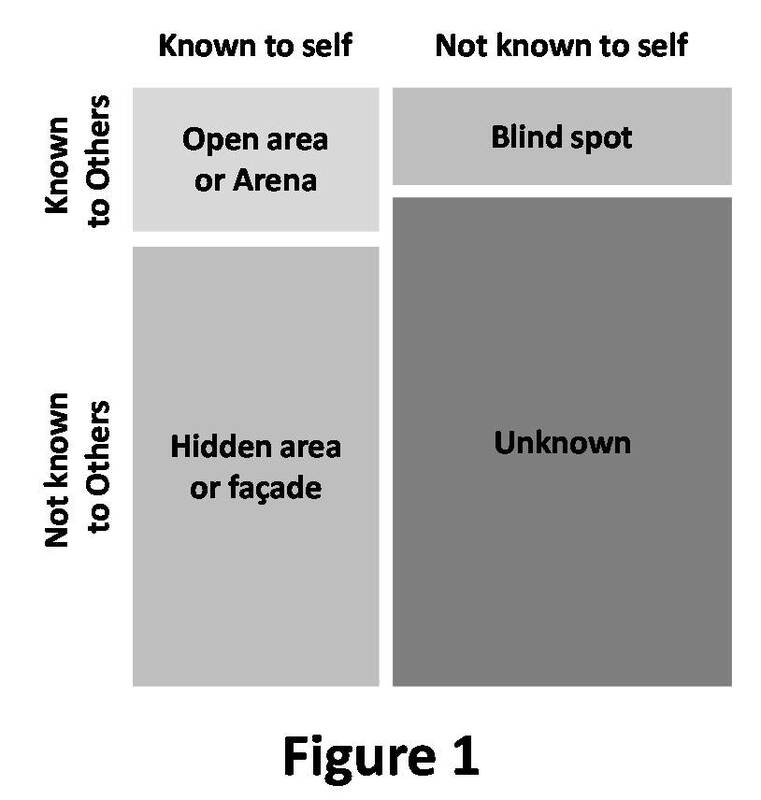 Unknown area – The Information which are unaware to yourselves as well as others. This includes the information, feelings, capabilities, talents etc. This can be due to traumatic past experiences or events which can be unknown for a lifetime. The person will be unaware till he discovers his hidden qualities and capabilities or through observation of others. Open communication is also an effective way to decrease the unknown area and thus to communicate effectively. 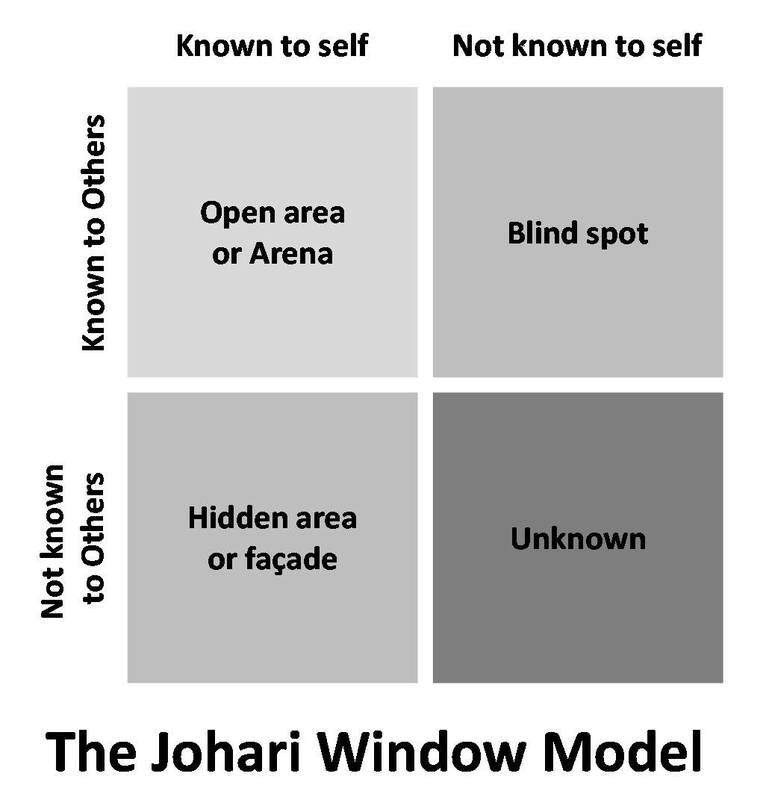 The Johari Window Model is a discussion I use as a facilitator for job readiness. It’s always an eye opener for the class participants and is filled with rich conversation. Clients learn to look at themselves in a way never before. The Blind Spot usually is one window that clients love to discuss. Not realizing your own issues could be very problematic on the job and that’s why feedback and is so important. Very wonderful discussion and helpful to employees especially the newly recruited! Useful tool for my Communication Theories and Model class. Thank you. I love this model, it helps to understand that feedback can be a positive thing and knowing how to 1. accept feedback and 2. make the positive changes will lead to positive outcomes. Being more self aware is one thing, but understanding the blind spot is just as important. i lov it, well organized and easy to understand…. I find the fourth quadrant exciting, since future acquired knowledge, learning and development results in personal growth which leads to self-confidence, positive change through making healthy informed choices, and new revelation of self, to oneself and others. It is an Excellent tool for Managers provided they understand the meaning of each and every word. Many Institutions have indirectly adopted this Methodology without even knowing how it operates. I’ve understood it very well… You did a good work and has to be appreciated for sure… I had a cat which demanded me to have this knowledge and you helped me alot. I like this most for my persomal references. Wonderful ways of evaluating oneself and others in very simple way. Thank you! Best way to self study about urself and others too..the way they ar talking they ar cheating etc..
Good tool for understanding people in an organisation. It is well structured, insightful and informative. Very intelligent and truly enlightening . But can this model be applied in our day to day transactions??? Thank you,it was easy to grasp especially thanks for the example.